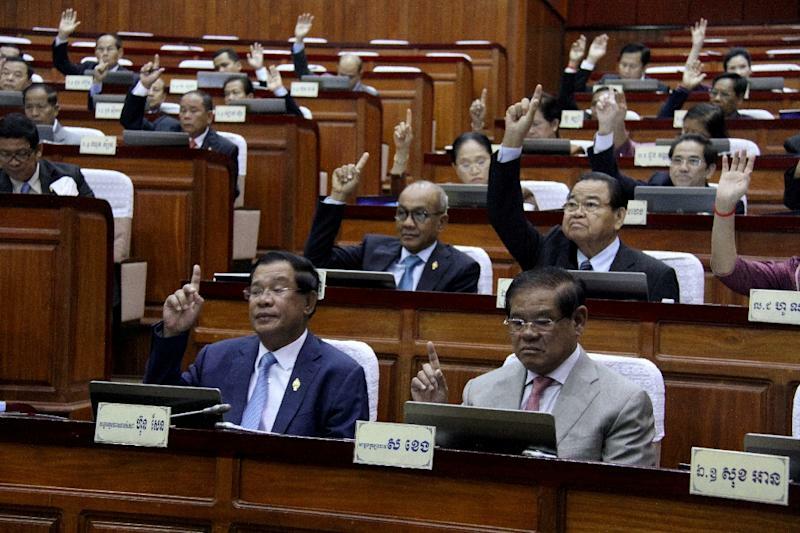 Cambodia's parliament passed a law Monday giving judges sweeping powers to dissolve political parties, a move seen as a brazen attempt by premier Hun Sen to checkmate his opponents ahead of next year's polls. 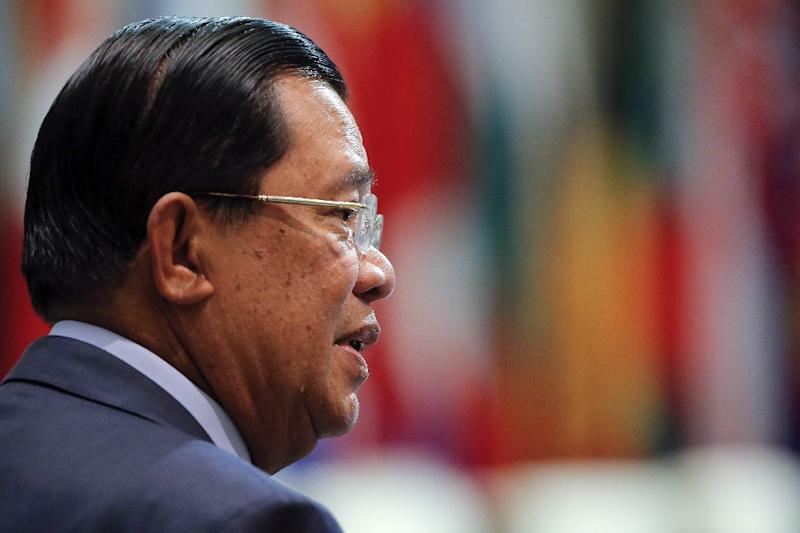 Hun Sen, who for three decades has led the country with force and political guile, has used the kingdom's pliant courts to ramp up a legal assault on the Cambodia National Rescue Party (CNRP), currently the only viable opposition party. The CNRP has been gaining in popularity, propelled by frustration over corruption and rights abuses under Hun Sen's rule, and is seen as a threat to the incumbent government in 2018 general elections. But the party has been hobbled by an onslaught of lawsuits that rights groups say is part of the strongman's crackdown on critics as he looks to extend his grip on power. The controversial new amendments passed on Monday empower the supreme court to dissolve any party which violates the constitution, "incites" the public or whose leaders are convicted of a crime. 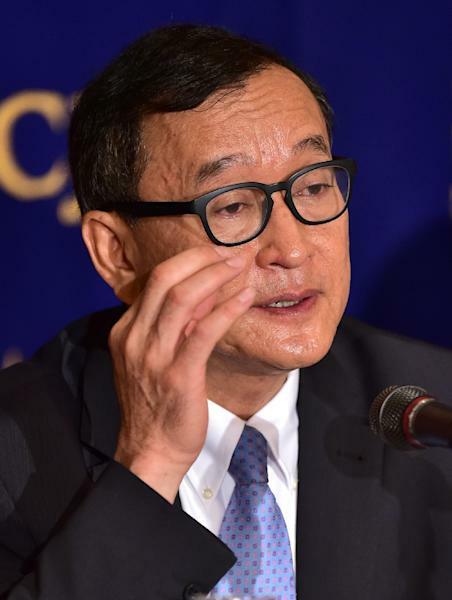 The CNRP, which made significant gains in the last national election in 2013, would be particularly vulnerable because of the slew of convictions faced by longtime leader Sam Rainsy. In a statement the CNRP said the amendments will "break national unity... and could be used to suppress and to destroy rival parties". Rainsy, who has been at the forefront of the kingdom's opposition movement for two decades, resigned from his position ahead of Monday's vote. He has been living in self-imposed exile since 2015 to avoid convictions and charges he says are politically motivated. Phil Robertson, Human Rights Watch's deputy Asia director, described the new amendments as a "gun aimed straight at the heart of the opposition", adding they leave "only the question of when and on what grounds this political execution will take place". Parliamentary spokesman Leng Peng Long denied the amendments were intended to target the CNRP. "This is a law. It will be implemented on all parties, not to target just a single party," he told reporters.